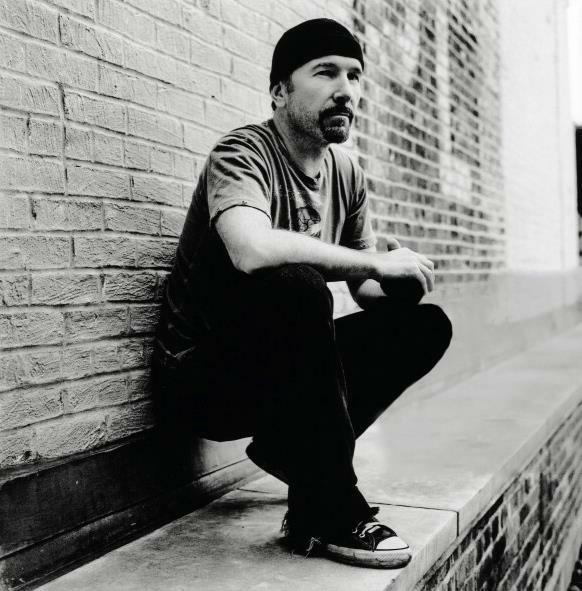 The Edge . . Wallpaper and background images in the U2 club tagged: the edge u2 photoshoot. This U2 photo contains street, city scene, and urban setting. There might also be sign, poster, text, chalkboard, golf bag, penal institution, and penal facility.